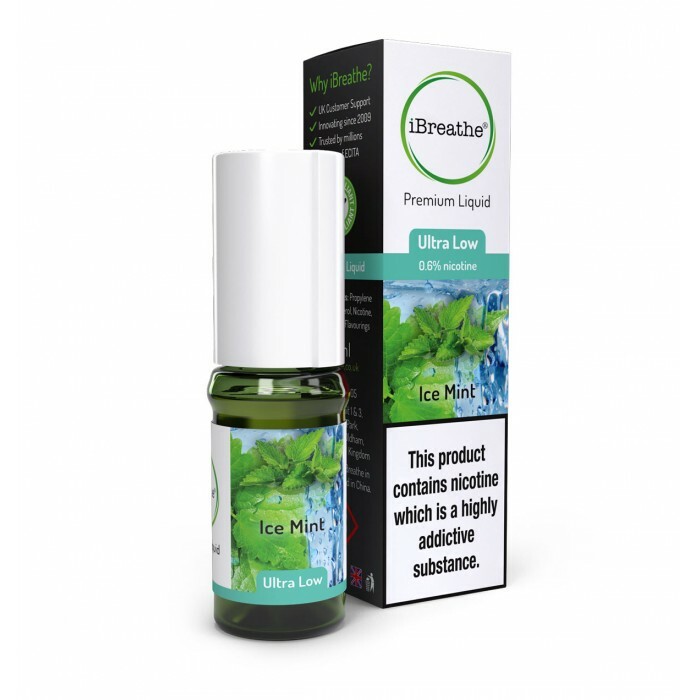 The iBreathe Ice Mint Premium Liquid is a light and refreshing electronic cigarette e-liquid with cool vapours and a tongue-tingling minty taste! The perfect choice for those who enjoy the flavours and aromas of menthol cigarettes, our Ice Mint Premium E-Liquid is extremely invigorating, and guarantees a burst of minty freshness in every vape. 10ml High PG E-Liquid - Purple Ice Our Purple Ice Premium e-liquid is just what you might imagine..
10ml High PG E-Liquid - Golden Virgin Encompassing the distinctive flavours and aromas of the wor..
10ml High PG E-Liquid - Tutti Frutti A delightful blend of tropical fruits, the iBreathe Tutti Fr..
10ml High PG E-Liquid - Blue Mist A brand new addition to the iBreathe ICE RANGE of premium elect..